Thinking about staining your project grey, but don’t know how it will turn out? 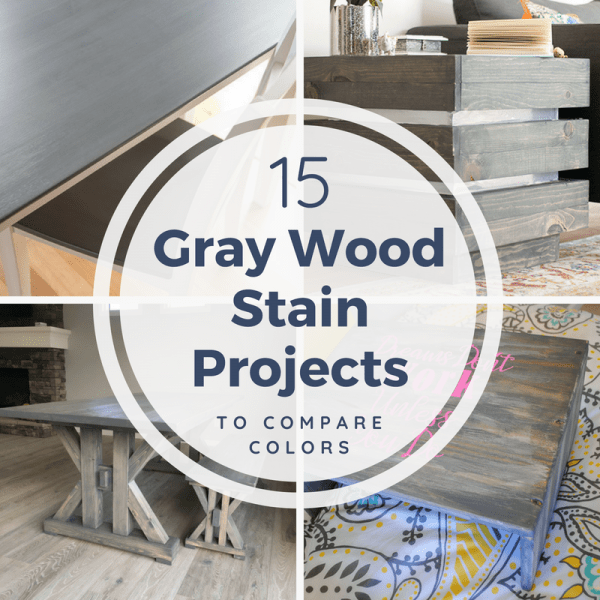 Here are 15 grey wood stain projects, sorted by color and brand, to compare and inspire! 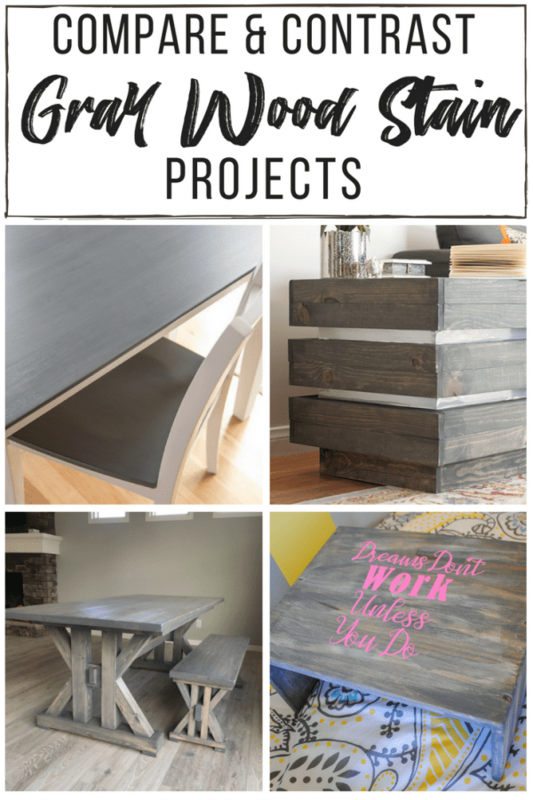 If you’re a frequent reader of The Handyman’s Daughter, you might have noticed that I’m kinda obsessed with grey wood stain projects! 🙂 I love the texture and depth that comes from real wood, but natural wood colors don’t really work with my decor. 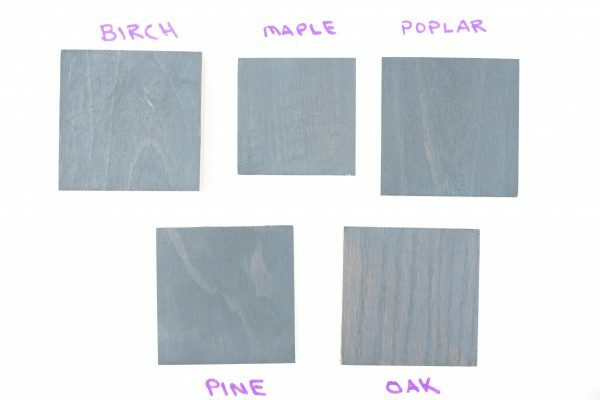 Luckily, there are lots of grey wood stain colors on the market nowadays. But it can be hard to tell how the final result will look from that tiny image on the can! 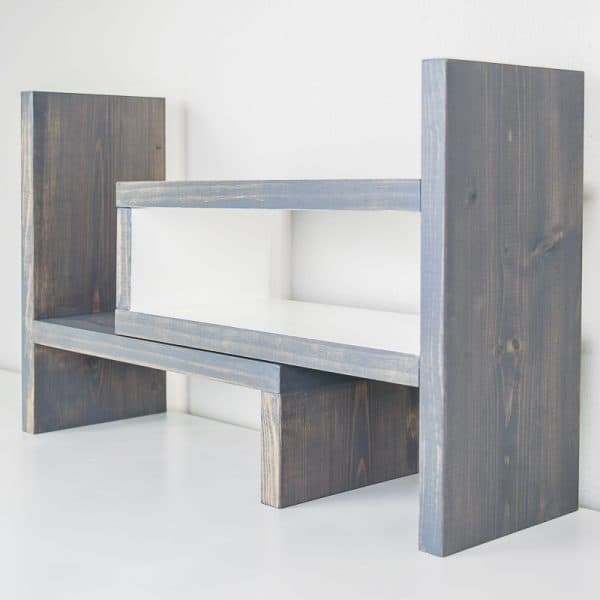 I’ve scoured the internet, looking for projects that used different grey wood stains to compare and contrast. Hopefully this will help you find the perfect color for your own build! 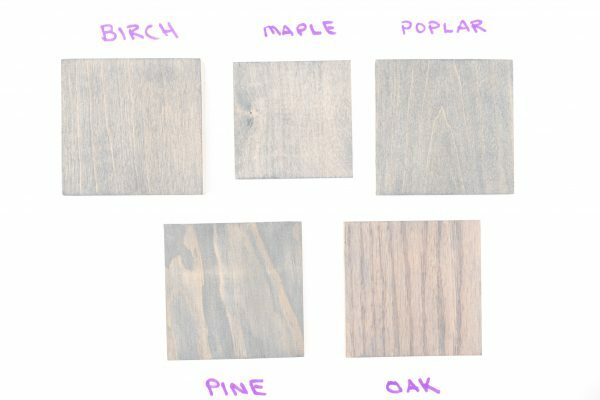 I’ve organized all these grey wood stain projects by brand and color to make it easy to compare. Keep in mind that lighting and photography can change colors significantly, so similar projects may look totally different! The color samples I created for this post use the same lighting and white balance, so it’s easier to compare apples to apples. This dining table top is maple, which takes wood stain evenly. One coat was all it took to get this rich, charcoal color! It’s harder to get a consistent stain color with pine, as you can see here. One coat gives it a more rustic appearance. 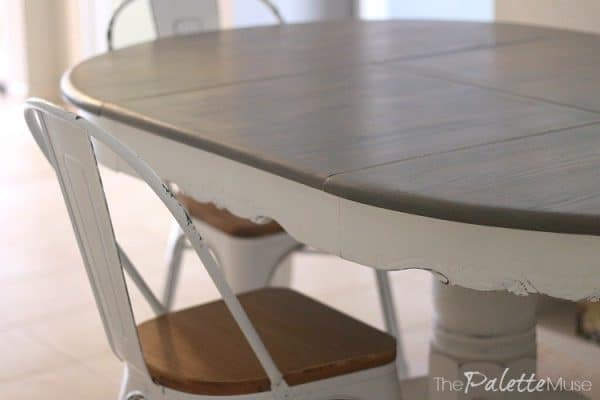 I put two coats of gel stain on this pine table top, which gave it a richer tone. Compared to the gray couch next to it, it definitely takes on a blue-ish hue. 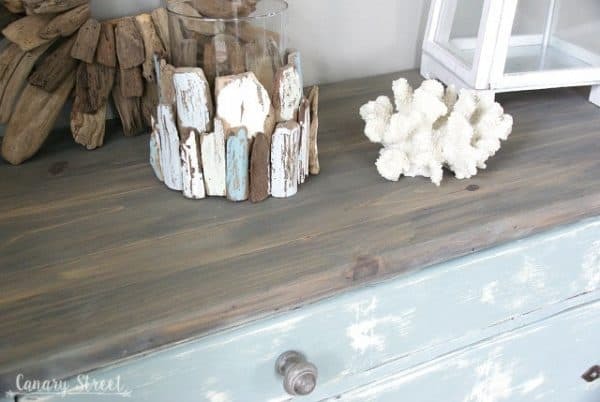 If you’re looking for just a hint of gray for that beachy look, try this technique from Canary Street Crafts. Gel stain is easier to control than liquid versions, so you can get just the right amount of coverage. 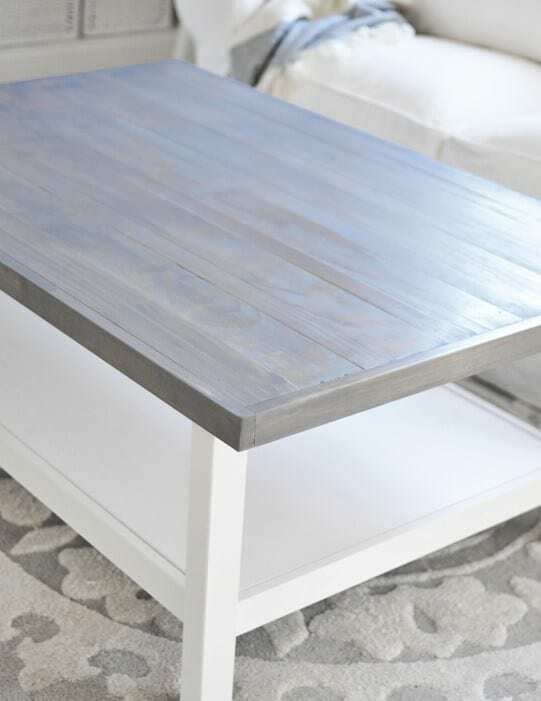 There’s plenty of natural wood color showing through on this oak dining table by The Palette Muse. It looks just like the oak sample in the chart! Lighting can really change the color of this stain, especially on pine! It takes on a definite blue hue on this console table by Hazel & Gold. 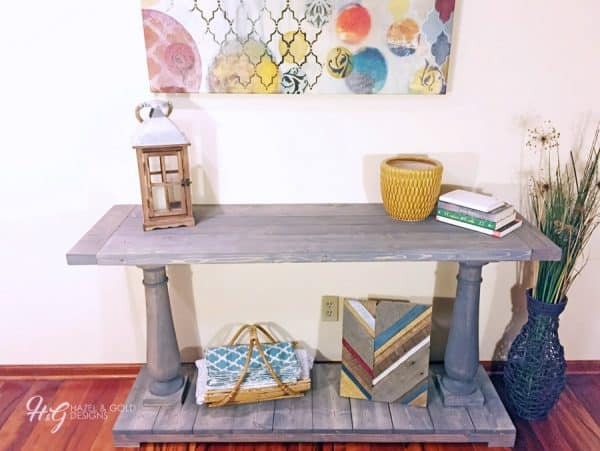 Combine white chalk paint and Minwax Classic Gray stain for a weathered, farmhouse look like on Upright and Caffeinated’s laptop desk! 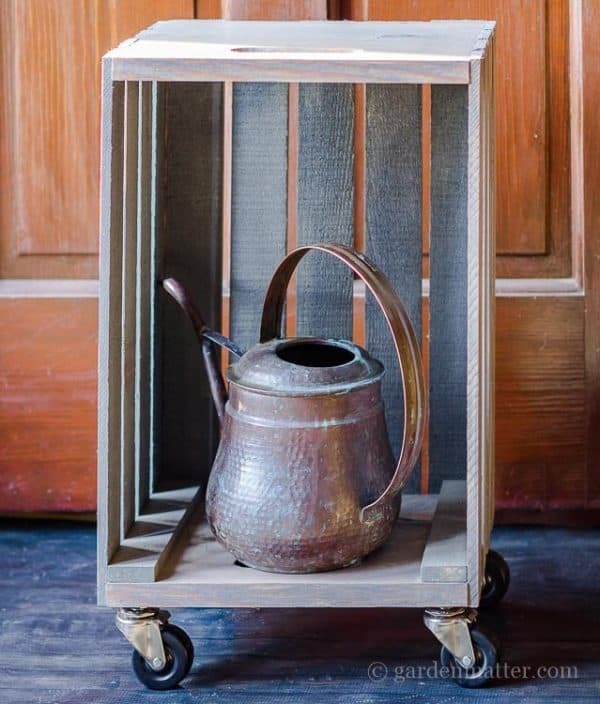 Update that basic crate with a coat of Minwax Classic Gray stain and casters for a mobile plant stand like this one from Hearth and Vine. Who couldn’t use more shoe storage? 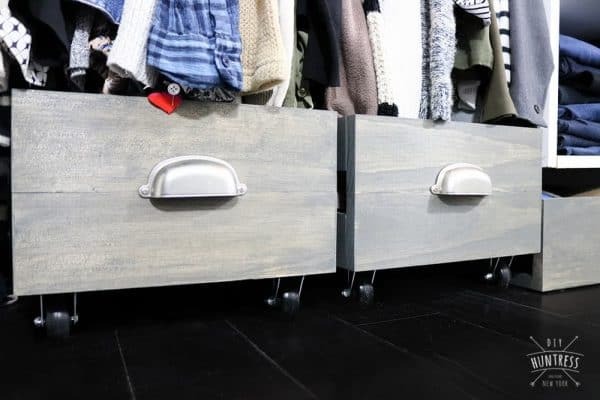 I love how the Varathane Carbon Gray stain complements the pulls on these rolling storage bins by DIY Huntress! 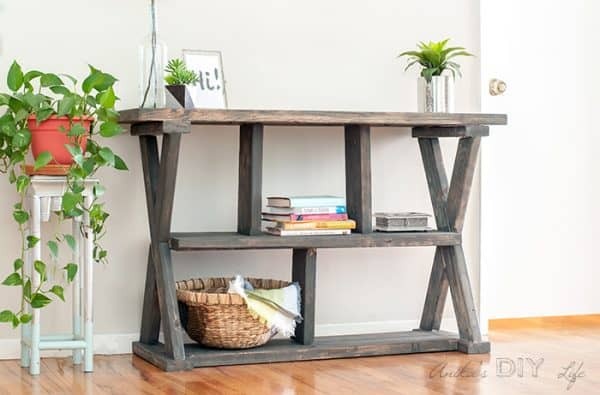 The dark, ebony-like color of this stain shows through on Anika’s console table. 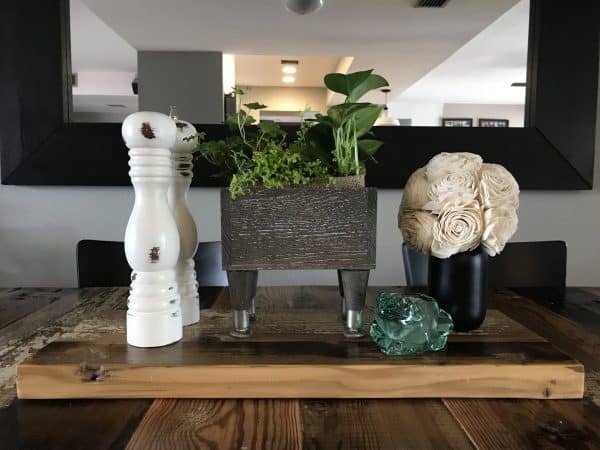 This dark stain is the perfect complement to the white grain enhancer The Awesome Orange used on this adorable planter! Or add a bit of bling instead, like Anika did with this chunky end table with metallic accents. 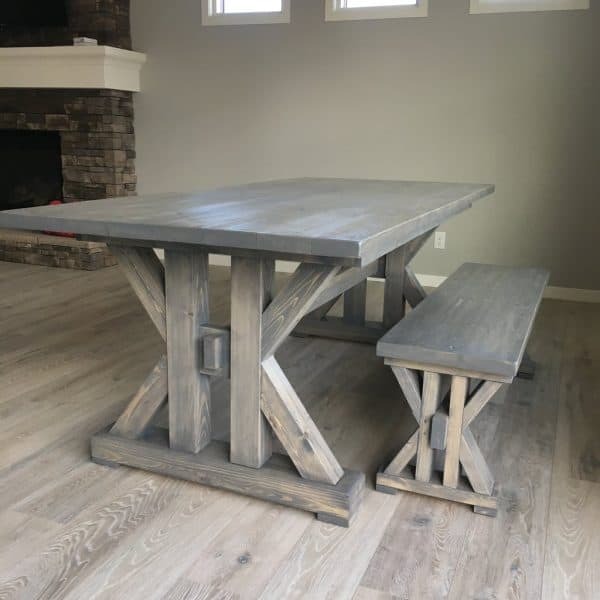 Varathane’s Weathered Gray stain lives up to its name on Handmade Haven’s farmhouse dining table and benches. Here you can see how two different woods take the same stain color. 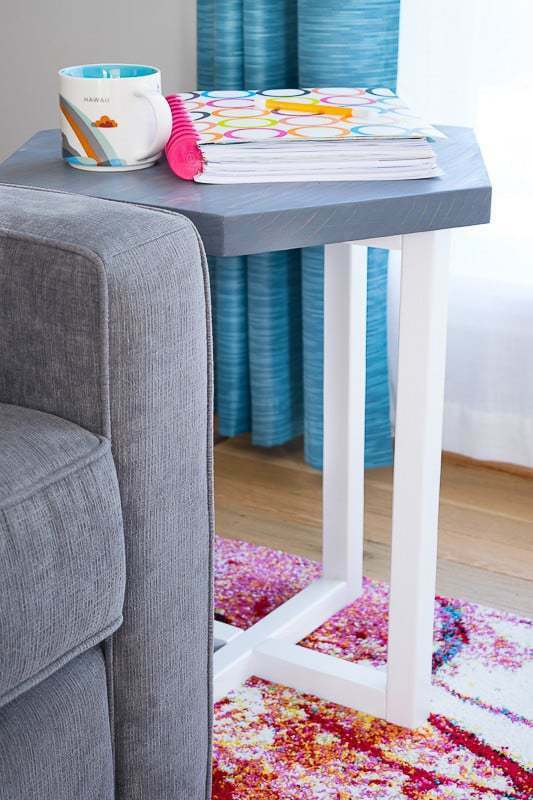 The birch plywood panels have a more even color than the surrounding pine boards of these side tables by Shanty 2 Chic. 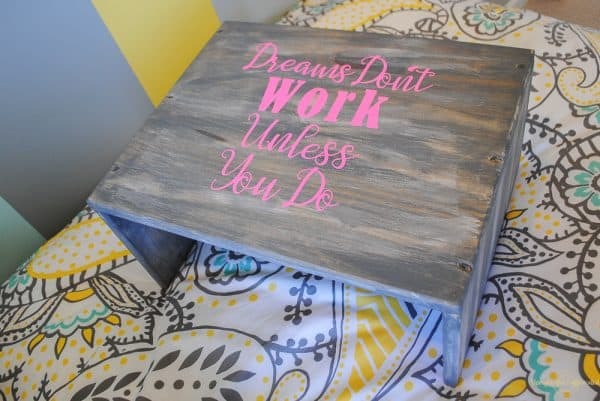 I’ve been eyeing this IKEA hack by Centsational Style for ages! 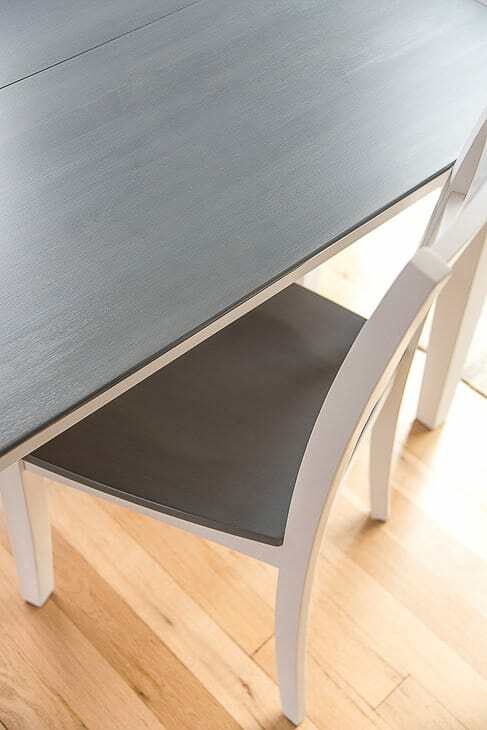 I love the contrast between the weathered gray top and the smooth white base. 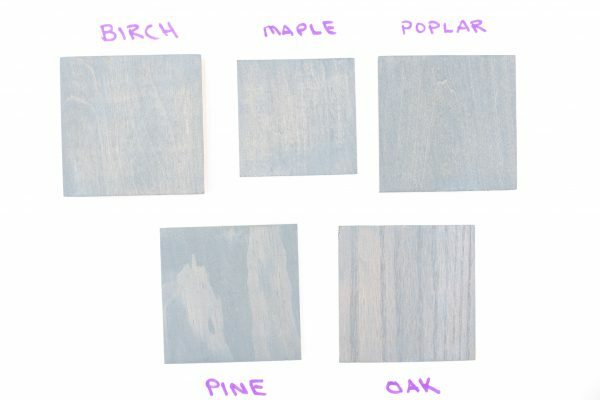 Hopefully these grey wood stain projects helped you decide on a color for your own furniture build or refinishing task. I kinda want to use them all now! 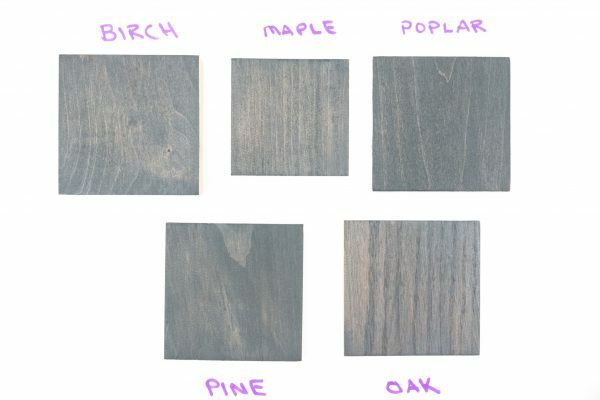 Previous Post: « Grey Wood Stain Colors – Sample Showdown! Brilliant article. Grey is definitely a colour that gets overlooked by most designers. I think you have used the colour so cleverly in all the rooms. When it gets used so effectively like this, it creates an open yet warm vibe which I personally love. This was a great post. 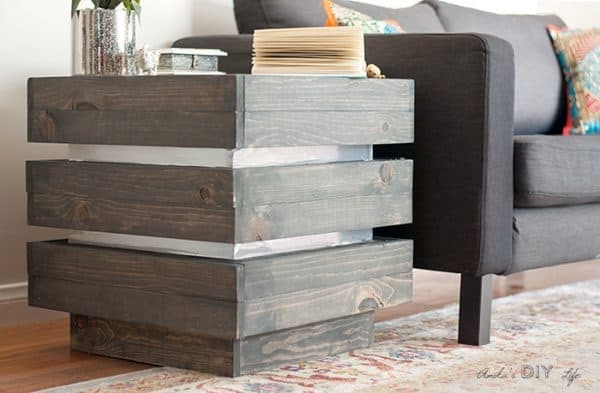 I love gray and this will be helpful for me in the future with a few upcycle projects I have. Thanks for sharing on To Grandma’s House We Go! It’s always nice to see how the stain will take on different wood. Thanks for sharing with SYC.